Everything Owl: Best Owl Gifts for Owl Lovers! Everything Owl is a fun owl themed website for owl lovers! I happen to LOVE owls and I am always buying cute owl stuff for myself and my sister, since we share the same ‘owl passion’! Here you will find my favorite cute owl sculptures, cool owl statues, fun owl toys, amazing owl home decor, gorgeous owl prints, beautiful and unique owl jewelry, stunning owl bedding sets, owl clocks, cookie jars, mugs and much more! Here it’s all about the best owl gifts for owl lovers! I hope you take your time to enjoy all my ‘owl selections’ from here! Have an ‘owl’ filled good time! *All owl gifts and owl stuff displayed on this website were selected based on research done online and my personal opinion. Owl lovers love cute owl stuff, of course! One of the best owl gifts you can give the owl lover in your family is a cute owl cube shaped pouf! I LOVE her gorgeous eyes and color! Where are you going to put her? Bedroom? Living-room? Porch? This cute perched barred owl in a forest throw blanket is the perfect owl gift idea for mom or grandma! It will look great on their couch! Cute Owl Print Tank Top! This is an amazing owl close up print tank top! The print is also on BOTH sides! Look at her cute ‘sleepy’ face! 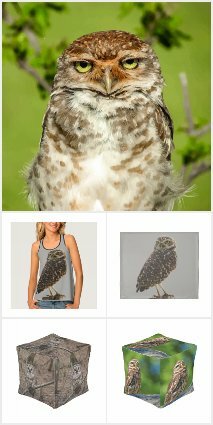 Will definitely make a fun owl gift idea for a special owl lover! 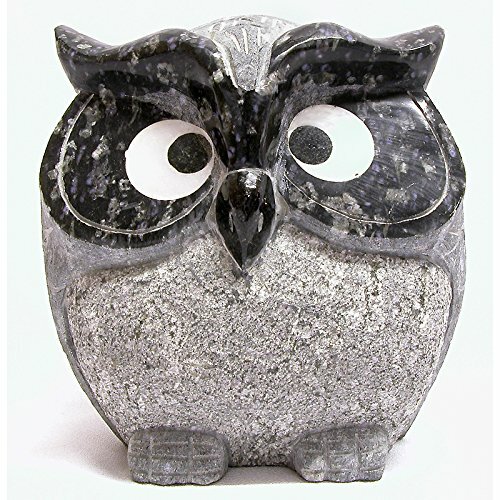 What an amazing and gorgeous stone owl sculpture! Wonderful gift idea for owl lovers! 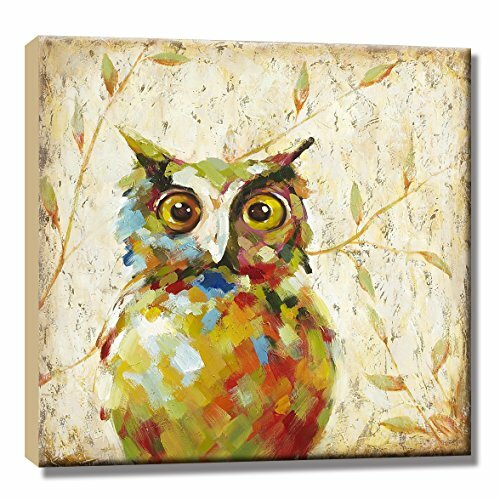 Owl prints, paintings and posters also make excellent owl gift ideas for owl lovers! This is a gorgeous and very colorful owl painting! She seems to be on a tree branch somewhere and looking straight at you! Will look absolutely amazing in your living-room! This is a very cute decorative perched owl throw pillow for your owl collection! You can have her in your porch bench near your house entrance! I’m sure she’s gonna stand out! Cute Owl Print Tote Bag! It is a very cute owl in the forest print tote bag! What an awesome owl gift idea for a girly lady! 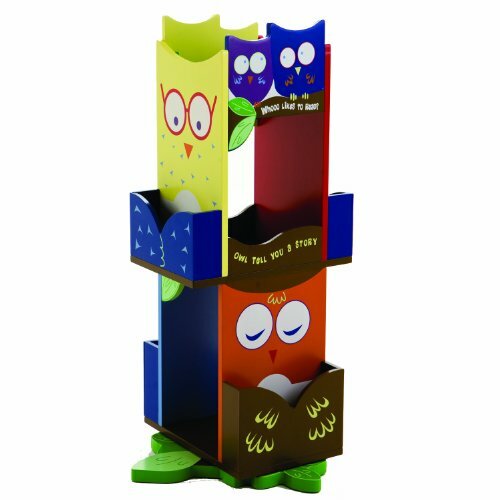 How fun and unique is this owl bookcase for children? Perfect for the future owl lover in the family! I love the colors and the fact that it is also revolving! Kids are gonna love choosing their next book to read with the help of these colorful and very wise owls! Great for a fun owl nursery as well! Great gift idea for a new baby in the family! 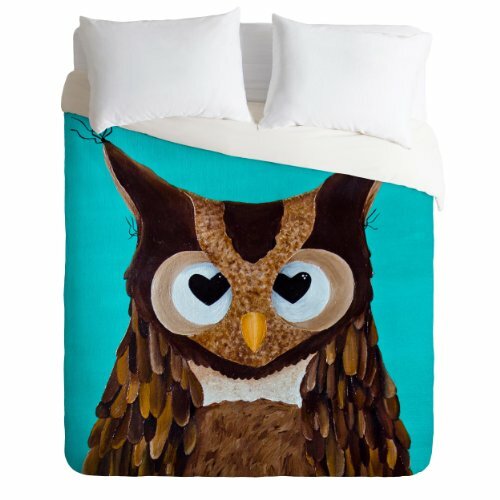 How gorgeous, unique and very colorful is this huge owl with heart-shaped eyes duvet cover? Can you think of a coolest owl gift idea for someone’s bedroom than this? If you love everything owl, of course you also love owl lamps and lights! Look what I just found fellow owl lovers! 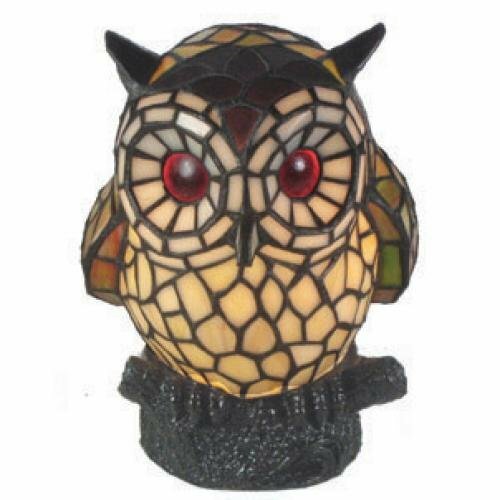 It’s a gorgeous and very realistic owl accent light! Doesn’t she look just like a real owl? You can have her in your bedroom or living-room! 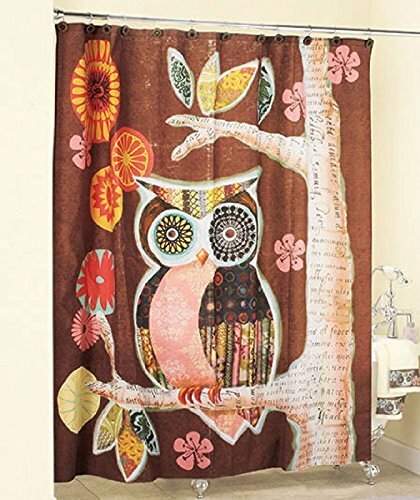 I know you also love owl shower curtains in your bathroom, Am I right? Have an awesome ‘owl shower’ today! Everythingowl is a participant in the Amazon Services LLC Associates Program, an affiliate advertising program designed to provide a means for sites to earn advertising fees by advertising and linking to amazon.com.